I have been off the grid with regard to events due to my hectic schedule as wife, mum, sister and daughter that blogger events have taken a backseat. However, a few weeks ago, I was hosted by Pomegranate Events at the launch of Dr Leila’s Integrative Wellness and Aesthetic Practice. It was a stunning intimate launch, held against a scenic backdrop of the Llandudno beach on a beautiful end of Summer afternoon. I was really glad I took the afternoon off to attend as it was completely delightful. 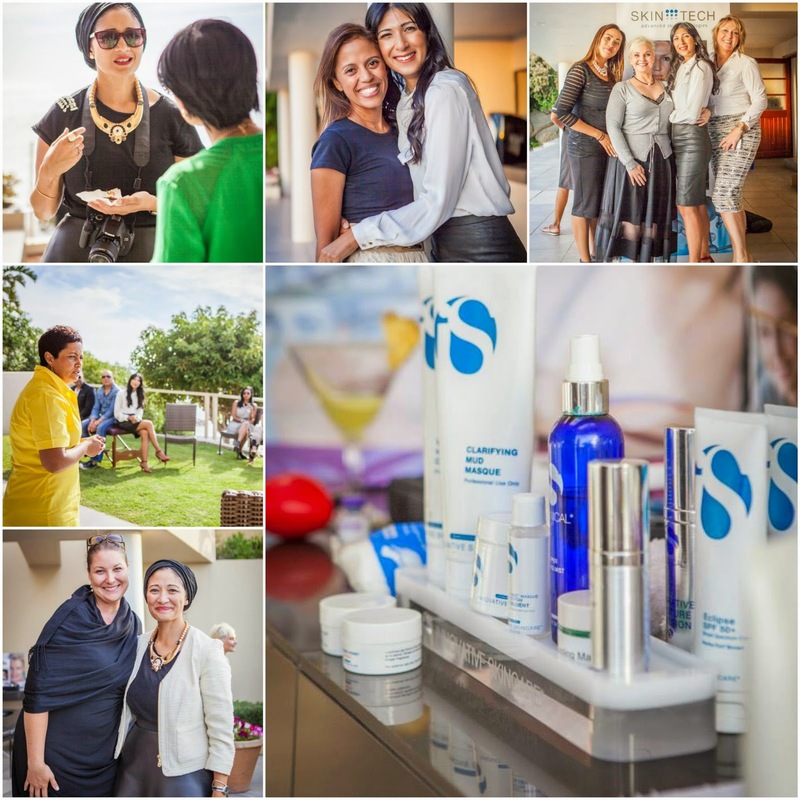 The entire event was catered to beauty, wellness and looking after oneself. Dr Leila Sadien, an acclaimed GP, spoke about her practice and the ethos with which she practices medicine. It’s all about overall holistic body health, looking after the body inside and out and identifying the root cause of health issues rather than just treating symptoms. Dr Leila’s passion comes across in her beautiful, warm, open demeanour and gives one absolute confidence in her offering which I have yet to experience. Her recommendations do not always extend to medical science and I was particularly keen on hearing more about the medical intuitive and life coach, Chantel Oppelt. A woman who uses her intuition to heal, assist and guide using energy and her talents to restore ‘patients’ to a balanced, happy and healthy lifestyle. We were witnesses to Dr Leila administer lip filler and botox which form part of her services and fall under the aesthetic banner of her practice. Various health and beauty vendors showcased their products and performed some demonstrations on some of the guests. These treatments included seated massages, facials and a facial peel. Whilst the results are pretty impressive, I am not sure I am comfortable with fillers and botox, especially after witnessing the needles pierce the skin several times! I was so lucky to have won face products from Innovative Skincare Clinical, which is more up my alley. There were also some interesting vendors displaying nutritional supplements which deals with internal wellness. Is so lucky to have won face products from Innovative Skincare Clinical too! It was a pleasant way to spend a Friday afternoon, which I thoroughly enjoyed. Thank you to Lamees Romaney (Pomegranate Events) and Dr Leila Sadien (www.mydoctorleila.com) for hosting and co-ordinating such a spectacular event.